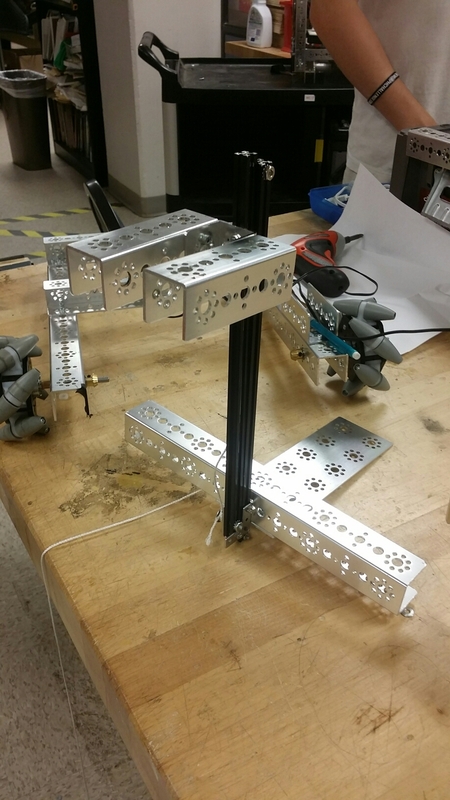 Ayaan: Worked on lift bot’s arm mechanism and drive train. 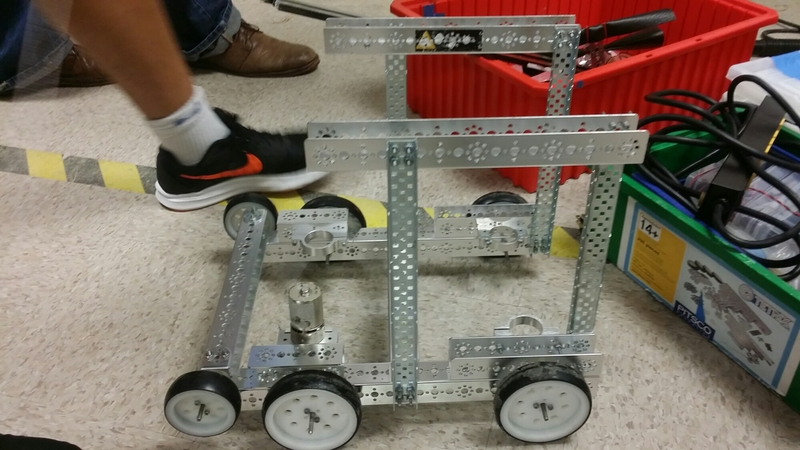 Duncan: decided that when there is six build members or less the team will focus on just building Kavin design(forklift). if we have a surplus of members we will work on both bots. 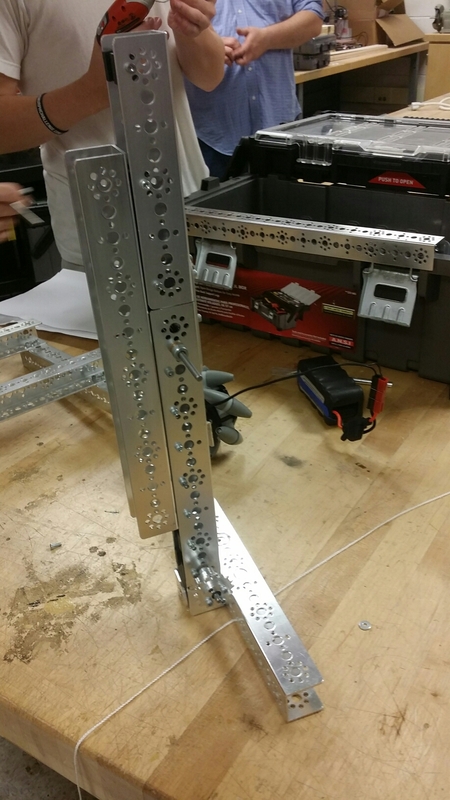 worked on lift mechanisms. 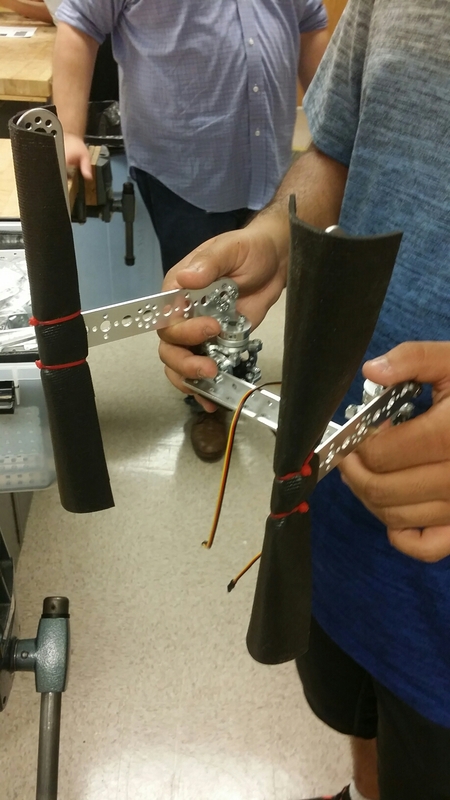 Rohan: Worked on improving the string pulley system by adding string to the pulley mechanism. Kai and Lila: Continued construction on dump truck model. Added upper frame and motor mounts. All wheels are on there axles. Had to remove center support for the upper frame in order to consider future grabbing mechanism. Discussed altercations to forward mini wheels for better stability. Isaac: Mentored Andersen on compiler and on the sensors: tested Ultrasonic/optical range sensor and color sensor. Kara: was mentored by Joseph and began to write code for knocking the jewels off during autonomous. Joseph: mentored Kara with basic autonomous for reactions based on input for knocking jewels off. This entry was posted in Minutes and tagged 7729, c hawks, chawks, FTC, ftc 7729, Hawks, Robot, Robotics, Seahawks, South Lakes, South Lakes High School, South Lakes HS, South Lakes Robotics, South Lakes South Lakes HS South Lakes High School First FTC Seahawks Chawks C Hawks Hawks Hawks Robotics Robot South Lakes Robotics 7729 FTC 7729 by katierwagner. Bookmark the permalink.